Sarasota County and the Town of Longboat Key will host a grand opening celebration at 10 a.m. on Wednesday, Nov. 8, for the Bayfront Park improvement project. 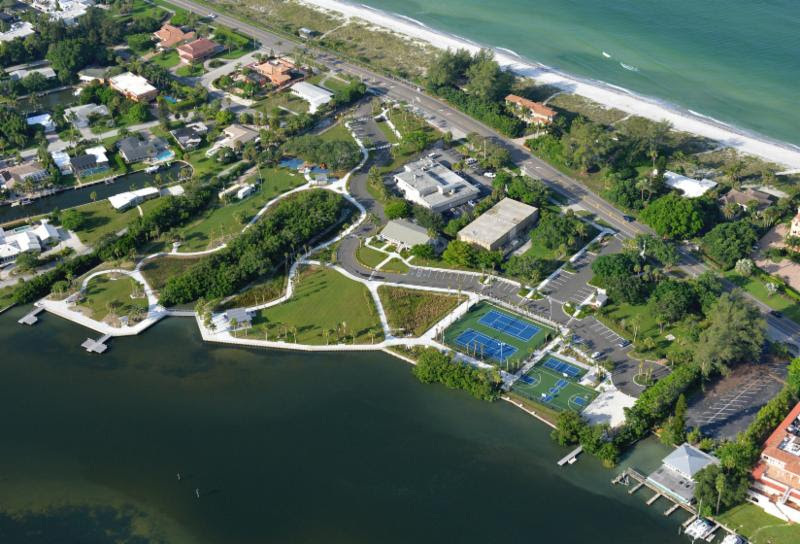 New amenities and enhancements at the nearly 9-acre park, located at 4052 Gulf of Mexico Drive on Longboat Key, include a dog park; kayak launch; pickleball, shuffleboard and basketball courts; children’s area/playground; picnic area; covered pavilion; fishing pier; bicycle facilities; multipurpose pathway for biking and jogging; exercise and fitness classes; and a technology hub featuring Wi-Fi throughout the park, a news release points out. The celebration, which will be open to the public, will include free refreshments and guest speakers, the release adds. Attendees will have an opportunity to tour the park and experience some of the amenities available, with a fishing clinic hosted by Rusty Chinnis, a dog training demonstration at the dog park presented by Nate’s Honor Animal Rescue, and pickleball, kayak and paddleboard demonstrations, the release notes. Bayfront Park traces its history back to the 1950s, when residents used a surplus U.S. Army building at the site as a recreation center, the release explains. In 2007, Sarasota County became a partner with the town in the expansion and improvement of the park. That year, the county acquired the four parcels (totaling 3.88 acres) immediately to the south of the recreation center, the release continues. The purchase was the first to come through the county’s Neighborhood Parkland Acquisition Program, Carolyn N. Brown, director of the county’s Parks, Recreation and Natural Resources Department, has pointed out. “The addition of this tract provided an opportunity for the county and town to work together to expand Bayfront Park and to offer residents the first gulf-to-bay public park on the island,” the release says. For more information about the grand opening, visit www.longboatkey.org or call Longboat Key Town Hall at 316-1999.